You want to buy trees or bark but don't have a way to bring them home? No problem, we have a delivery person waiting to serve you. Please call or stop by for pricing. Did you know we have a full landscaping crew? We can do a complete yard installation, or plant a few trees and shrubs. We also offer consultations at your home for a $125.00 fee. We will make a drawing of our design ideas after collaborating with you. Then invite you into the nursery to go over the plans and show you the plant material involved. You will then keep the drawing to take home with the possibility of do-it-yourself or you may hire us to do the install. A completed design package including a final design made for accurate submission requirements including coloring for $225.00. ​No pictures will be provided. Do you have a do-it-yourself project? 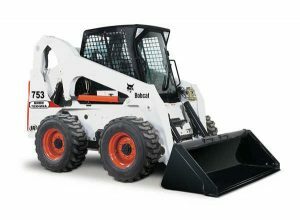 Rent our bobcat for a day or a week. We drop it off and pick it up when you're done. Please call for availability and pricing. 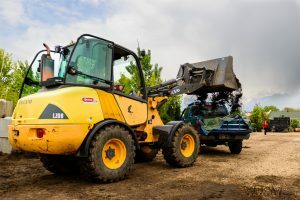 Arbor Day offers many varieties of trees, shrubs, ground cover, perennials, annuals, grasses, herbs and vegetables.Delivery as well as landscaping services are available. Our nursery stock includes rocks, flag stone, colored and cedar barks, topsoil, compost, soil amendments and fertilizers. We would love to help you make your little corner of the world happy, healthy and beautiful. Come see us today! Riverton, Bluffdale, Herriman, Draper, South Jordan, Sandy, Highland, Alpine, Lehi, Saratoga Springs, West Jordan, Midvale and more!